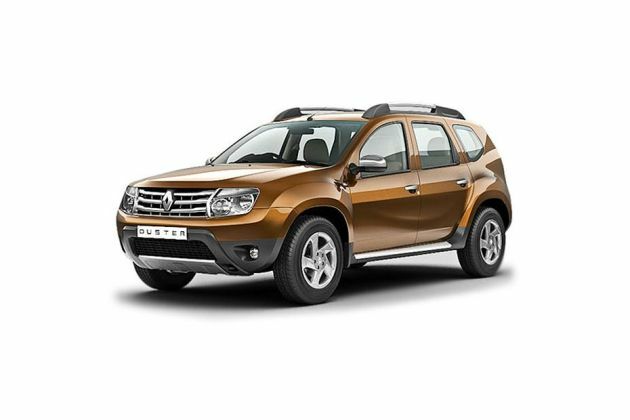 Renault Duster is perhaps one of the best selling SUV models available in the market and it has helped the manufacturer to gain a huge market share in India. In a bid to provide more options to the customers, the company has launched another variant in this model series christened as Renault Duster Adventure Edition and it is being introduced on the RxL variant platform. Powering this particular trim is the 1.5-litre K9K diesel power plant that can produce a peak power output of about 108.49Bhp, while generating a peak torque output of about 248Nm at 2250rpm. The manufacturer is offering this latest variant with a exterior styling package including bumper add-ons, plastic claddings, ANTHRACITE alloy wheels with dark grey garnish, white colored outside rear view mirror and on the external door handles. Inside the cabin, this SUV comes with “Duster” name stitched on the seat inserts and on fluorescent doors. The company has retained all the comfort and safety features that are standard on the RxL variant. By making these changes, the company has managed to give it a rugged new look with a lot of off-road attributes. The newly introduced Renault Duster Adventure Edition trim comes with an exclusive package that includes variant styling aspects. To start with the frontage, this SUV is blessed with a redesigned bumper with nudge guard that comes with additional fog lamps. It is also fitted with a plastic cladding that further protects the vehicle from minor damages. The design of the front chrome plated grille remains unchanged, but it is surrounded by smoky headlamps that bring an imposing stance to the frontage. The company logo is fitted in the center of this grille that further enhances its appeal. On the side profile, this sports utility vehicle comes with wide wheel arch claddings, which are neatly designed . Also the side profile is blessed with beadings that work as an additional protective feature for the vehicle. On the other hand, the company has fitted the wheel arches with ANTHRACITE alloy wheels with dark grey color garnish that makes a bold statement . These alloy rims are covered with robust tubeless radial tyres. The company has also given a full size spare wheel, which is affixed in the boot compartment as well. The rear profile of this SUV gets protective cladding fitted to the bumper, while the rest of the design remains to be the same. The interiors of this new edition have been tailored to suit the SUV enthusiasts with intense black and grey color scheme. This dual tone scheme is complimented by lime green fabric inserts that enhances the sporty characteristics of the interiors. The seat covers and the floor carpets have been embossed with “DUSTER” lettering, which is enhancing the appeal of this SUV. The company has retained the dashboard from the existing variant and equipped it with an all new MediaNAV system that ensures flawless navigation. The company has incorporated a number of utility based features inside the cabin such as glove box lamp, electric back door release, theatre dimming interior lights, digital clock, passenger vanity mirror and much more . The newly introduced Renault Duster Adventure Edition trim comes equipped with the same 4-cylinder, in-line 1.5-litre, K9K diesel power plant that comes with 1461cc displacement capacity . This engine is based on the DOHC valve configuration and incorporated with common rail direct injection system that allows the motor to produce a peak power output of 108.49Bhp at 3900rpm, while generating a torque yield of 248Nm at 2250rpm. This engine is mated with a 6-speed manual transmission gearbox that distributes the torque output to the front wheels. This diesel mill can generate a mileage of about 19 Kmpl, which is rather good. This SUV is being offered with an advanced hydraulically operated diagonal split dual circuit braking system. The company has fitted ventilated disc brakes to the front wheels, while assembling the drum brakes to the rear ones. This braking mechanism is further enhanced by anti-lock braking system with electronic brake force distribution system and brake assist function. On the other hand, this SUV also has a electro hydraulic power assisted steering system that ensures precise response and assistance at all speed levels. On the other hand, this SUV comes with a robust suspension system where its front axle has been assembled with Independent McPherson Strut system and the rear axle is fitted with Torsion beam type of system. This suspension mechanism is further reinforced by the coil springs and anti-roll bars. This Renault Duster Adventure Edition trim is being offered on the RxL variant platform and it comes with all its features along with few additional aspects. The list includes power windows with illuminated switches, AC unit with heater and pollen filter, power steering with tilt steering column, electrically adjustable ORVMs, rear reading lamps, foldable rear seat backrest, rear seat center armrest with cup holder, adjustable rear seat head rest and much more. Apart from these, the company is offering an on board trip compute along with headlight alarm, keyless entry, height adjustable front seat belts, digital clock, passenger vanity mirror, versatile rear parcel shelf with storage space, bottle and cup holders and many other features. In addition to these, the company is also offering an advanced MediaNAV that features a high end navigation system with top-of-the line entertainment and communication console with controls mounted on the steering wheel. The company is offering this SUV with innovative safety aspects that ensures proper protection to all the occupants. The list of safety aspects includes an Anti-lock braking system with EBD and brake assist system that improves the braking aspects of the vehicle. Also it features dual front airbags that safeguards the passengers in the cockpit. Apart from these, the company is offering front fog lamps, reverse parking sensor, an engine immobilizer system, central locking system, engine protective under guard, rear defogger and other advanced features. Pros: Rugged new look, advanced communication and entertainment equipments. Cons: Initial ownership cost is high, mileage can be improved.